I’ve been a big fan of the Levenger Circa discbound system for a while now. I like that I can add and rearrange pages. I like that it’s a cross between wirebound notebooks (of which, I still love the Mirquelrius stuff both for the variety of covers and the quality/lines of the paper) and a binder (of which I appreciate the flexibility and hate everything else). Now, if we’re gonna get all disclaimer-y about things, I worked for Office Depot many years ago and while working around that many office supplies should have been awesome, I often just felt dismayed by choices the buyers would make. Back then, they regularly rotated merchandising interns around and moved other staff for various petty reasons that didn’t seem to have anything to do with how well those people knew the product lines or their attachment to them. 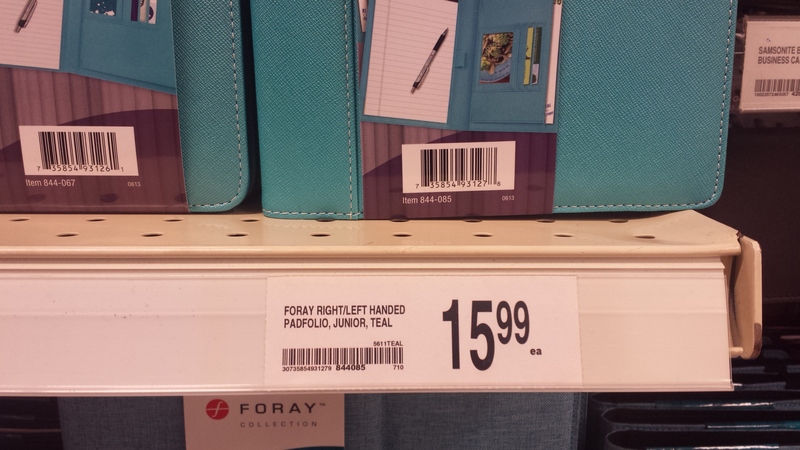 A lot of years have gone by, so let’s hope they’ve wise up, but the introduction of their “foray” into the discbound notebook market doesn’t make me believe it. 1) The name. I get that most people aren’t going to choose to buy or not buy based on that, but “REVOLUTION” is flat out presumptuous and stupid when you’re coming along on the heels of Rollabind, Circa, Myndology, Martha Stewart, and Arc (at Staples). 2) The test. I understand the concept of test markets and that’s all fine and well, but if no one can find your product, you failed the test immediately. If people ask employees in stores your website said would have it have never heard of it, you’ve failed the test. If you wanted a limited-run test, you’d have been better off sending a few samples to all those discbound/stationery bloggers to try out and pimp rather than tossing the samples into the mess that is Back-to-School. 3) The timing. Which leads me to this point. BTS, or back-to-school, is a huge profit boost for the office supply industry. I get that. And I get that companies start prepping for it before kids have even gotten out of school and nothing is bigger, not even the winter holidays since the margins are higher on markers and notebook paper than on TVs and computers. Still, expecting parents, already bitching about how much they have to spend, to spring for things that aren’t on the class lists is, again, presumptuous and stupid. And the number of teens who are going to spend their own money on funky looking notebooks isn’t all that high. If, however, this had been marketed well to college students (especially grad school and returning adults), and was at a price point they could afford along with books and housing and food, this might actually do pretty well. 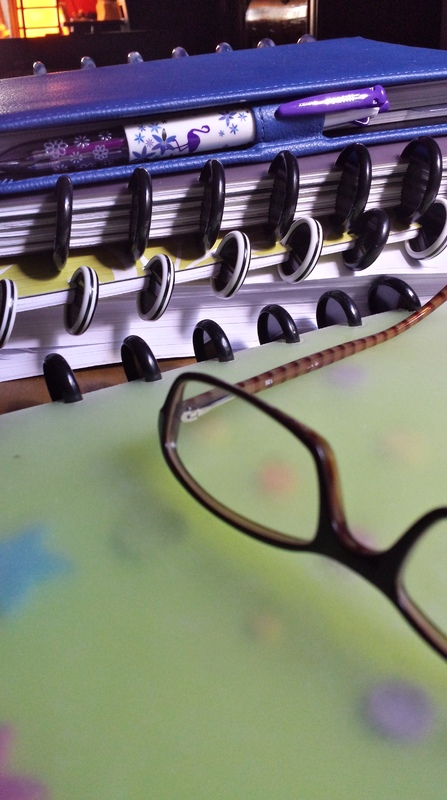 The system makes organizing class handouts and notes easy, is more portable than a binder, and can be reused each semester or stored away as future reference. 4) The product. With the selection they released, Office Depot seemed to be aiming for the teen/tween market or the young-at-hearts. All that’s fine and well, but if you’re looking to sell specialty notebooks, you might want to offer a few things appropriate for use in offices — in other words funky stuff AND business casual stuff. They already have a “Jane” line and could have easily worked those design elements in. At the same time, all the “Revolution” items I saw online looked fairly “girly.” Granted, there was some black and gray, but it was mixed in with flowers and pinks. No primary colors, nothing “professional,” and yet no skulls or other fun, but gender-neutral designs. About this, I want to be clear because my husband and I both have a fair amount of Circa and Arc stuff that we’ve combined and blended with other stuff to make our own notebooks. We have “professional” looking notebooks that wouldn’t look out of place on job interviews or in high-powered meetings. We have a set of discs holding a chopped and punched folder full of accounting files. We have translucent covers with cardstock flyleaf paper. We have our vacation plans in a Circa notebook. I have a manuscript I need to edit in one. I have some “fun” and “pretty” discs and I have a bunch of black discs because they’re cheaper and easy and go with everything. In other words, variety is key, and gender-neutral or enough variety for “girly” fans and everyone else.